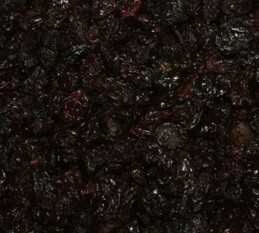 The intake of raisins has begon. We sincerely hope we all will receive a big, sound and healthy new crop and no adverse weather at the time of cutting and drying. OK. In some spread areas some rain has fallen but with the high temperatures we hear that it has not done any harm. On the contrary. Since no severe precipitation is expected in the coming weeks we dear say….. sofar, so good. Past week we inspected the raisin-fields again very seriously and from what we have seen and hear, the grapes are doing perfectly well and whilst writing, the temperature is still pretty high, which urges the farmers to cut and dry the grapes soonest. We can say so because all of a sudden most farmers are picking up empty bins and we are sure that starting the coming week they will bring them back, in real big tonnages. 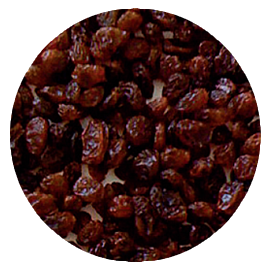 As said before,this time, we are convinced that the bins will be full with properly dried raisins, of a good quality, both for Thompsons and Goldens, which means, we are carefully optimistic about the overall quality. However there is also a negative side. For instance: with the Rand getting slowly but steadily stronger , we cannot but expect a market with higher prices because of the very same strong South African currency towards the Dollar and Euro. . Besides that, the enquiries from abroad, specially for Thompsons, will be less aggressive than the year before. On top of that, we should realize that worldwide competition will get stronger (price-wise and quality-wise) every year. With the knowledge that, despite the above, we should keep in mind that South Africa, is still THE market for TOP QUALITY Goldens and Thompson. Having said that, we can only repeat what we have been saying so many times. : KEEP THE QUALITY HIGH, that is to say: …… VERY HIGH. Only then, South Africa can improve its market-share, year by year..
By the way the overall tonnage is estimated to be over 70.000 tons.. It will be in the next 10 /12 days that the industry as a whole will start up the machines again. Until then manufacturers and buyers will keep the cards tightly to their breast so that we shall only know by the end of February which tendency the market will take. .